The Adesso Ergonomic Touchpad Keyboard offers you an advanced input device with ergonomic design, and multifunctional features. 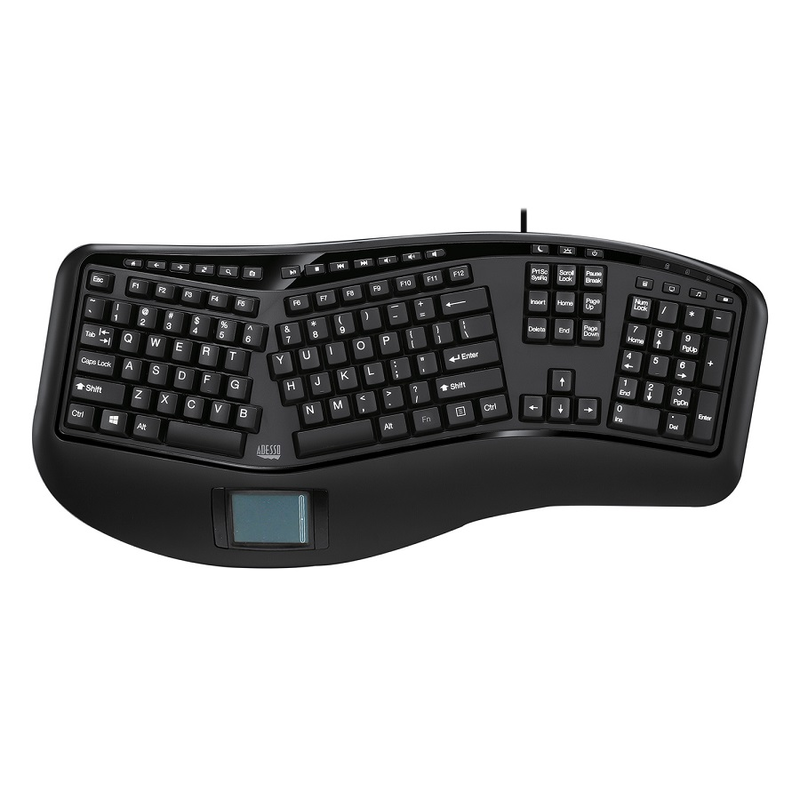 The design of this keyboard with splitted key zones and gently sloped encourages natural position of hands, wrists, and forearm in maximum comfort for long use. The keyboard also features an integrated touchpad which can take the place of your mouse, making it easier to control the movement of the cursor on your personal computer. The ergonomic design of this keyboard along with its gently curved shape encourages natural typing positions for maximum comfort during long use. Standard keyboards force your hands to be close to each other while split key keyboards create a wider distance between your hands. This distance helps alleviate strains on the neck and back that would otherwise build up using standard keyboards. Designed to keep your hands in the natural resting position, this not only relieves joint pain and improves posture, but has also shown to relieve back pain and spinal discomfort. 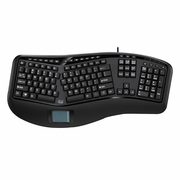 The keyboard features an integrated touchpad which can take the place of your mouse, making it easier to control the movement of the cursor of your personal computer. You can get instant access to your commonly used Internet and multimedia tools with the 20 built-in hotkeys this keyboard has to offer.